Victoria Roberts | The PHOENIX After two successive years of record-breaking incoming class sizes, Loyola partnered with the student housing consultant Scion Group to create solutions to the overcrowded dorms and strained resources caused by the large number of students. Loyola enrolled 356 more first-year students than what the university budgeted for the 2017-18 school year, and Residence Life has brought on a consulting group to map out solutions going forward. This is the second year in a row that Loyola’s enrollment has overshot its expected numbers, Wayne Magdziarz, Loyola’s chief financial officer, said in an Oct. 6 address to Loyola’s University Senate. The growing student population has directly affected Loyola’s student housing, according to Residence Life. Jennifer O’Brien, associate director of housing operations for Residence Life, said the over-enrollment is a testament to the university’s strength but has demanded a need for resourcefulness. 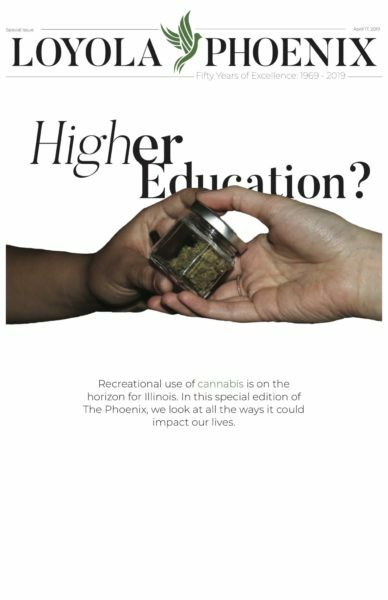 “On one hand [it is] really exciting for the university because I think that [it] speaks very highly of the university’s reputation … but to have such a big jump is also a challenge,” O’Brien said. O’Brien said that while the large influx of students isn’t hurting Residence Life’s budget, it isn’t helping either. The increase of students caused furniture and storage costs — along with overall operating costs — to rise, despite the increase in tuition revenue from more students, according to O’Brien. “It’s a little bit of an art and a little bit of a science in terms of [achieving] that target revenue,” O’Brien said. The record-breaking size of the past two freshman classes have encouraged Residence Life to make long-term plans to accommodate more students in the future. Residence Life is working with a housing consultant called The Scion Group to create a five- to 10-year plan, O’Brien said. The plan is intended to map out options for future renovations, the tearing down of buildings and the construction of new ones on campus. The Scion Group works with universities in owning, operating and providing advising services for student housing. Loyola is one of more than 200 campuses that Scion works with. The company’s other Chicago clients include DePaul University, University of Illinois at Chicago and Columbia College Chicago. Loyola’s collaboration with Scion was developed based on feedback from Residence Life staff and focus groups of students and faculty, O’Brien said. Scion began its work with Loyola in February 2017 and the project is just wrapping up, with Residence Life already receiving some early recommendations from the company. A housing task force was created on the recommendation from the budget review team, which is made up of Loyola’s President Jo Ann Rooney and members of her cabinet. The task force includes representatives from Residence Life, Capital Planning, Facilities and Enrollment Management and Lakeside Properties. The task force will look at Scion’s recommendations and propose short and long term plans for the university, O’Brien said. The goal is to present the plans to the president and budget review team for approval by the end of the year. Residence Life wouldn’t share any of the recommendations they have received, though O’Brien did say the building of new residence halls is “in the mix in terms of conversation.” She confirmed that students will be notified of any building projects once Residence Life publishes the plan later in the school year. The Scion Group was unable to comment on its collaboration with Loyola based on its confidential contract with the university. Magdziarz said the university plans on enrolling a smaller incoming class for the 2018-19 academic year as part of an effort to curb costs and avoid a potential $4 million budget deficit in three years, The PHOENIX reported. O’Brien mentioned that the Housing Task Force will propose a plan which takes the current condition of the university in mind including factors such as enrollment, facilities conditions and account budget. However, she didn’t mention how Loyola’s current financial status might impact the effectiveness or execution of the plans. This is the second year Loyola has implemented systems to accommodate an unexpectedly large class size. Last year, Loyola converted a number of double rooms, intended to house two people, to triples. San Francisco, de Nobili, and Mertz residence halls were converted last year to house first-year students. This semester, 168 rooms were converted to triples, housing 500 first-year students. Students have expressed frustration with their experiences living in converted rooms. Sophomore Ryan Tims said he lived in a converted triple in San Francisco Hall during his first year at Loyola. 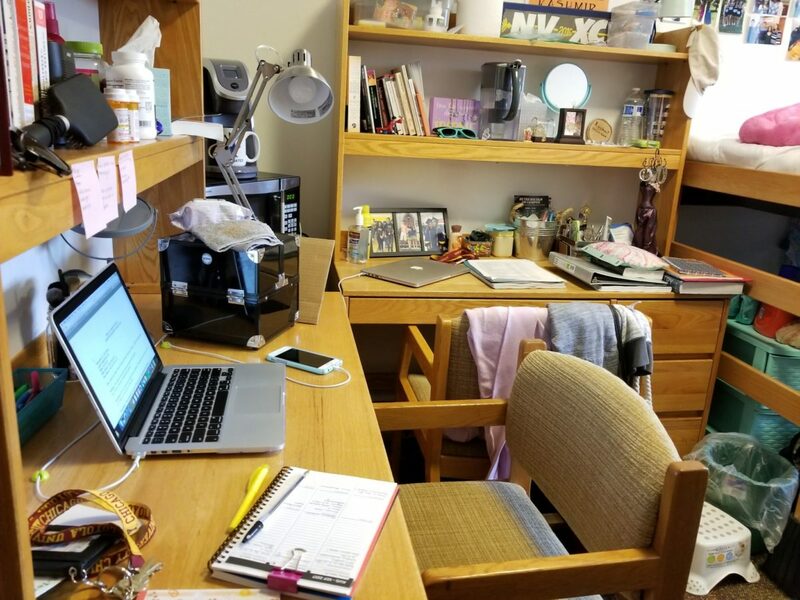 Sophomore Brooke Landrum, a 19-year-old marketing and information systems double major, shared similar issues in her converted triple in Regis Hall as a first-year student. “I could not lay down on the floor with enough room to extend myself and it was very crowded,” Landrum said. The fact that her triple had a shared bathroom was the only “saving grace” of her experience living in a converted room, Landrum said. O’Brien said Loyola will look into using Lakeside Management, the university-owned property management company, which has a number of apartments in nearby areas including on Sheridan Road and Granville Avenue. Last year, Loyola utilized Lakeside Management to house upperclassmen and transfer students at the Sovereign Apartments on Granville Avenue when space ran out in university residence halls. O’Brien said that a partnership in the future would be centered on educating upperclassmen about Lakeside properties as accessible, university-operated housing options. Students can expect to learn more about Loyola and Scion’s plans to reform Residence Life by the spring semester, O’Brien said.